Blu Service is the Distributor of the prestigious brand Fjord, a shipyard that builds luxurious daycruisers with spectacular design and important exteriors, combined with interiors designed with an eye to intelligent comfort and practicality. The Fjord brand was born in Norway where, since the ’50s, cruise boats are built among the most appreciated in the world. 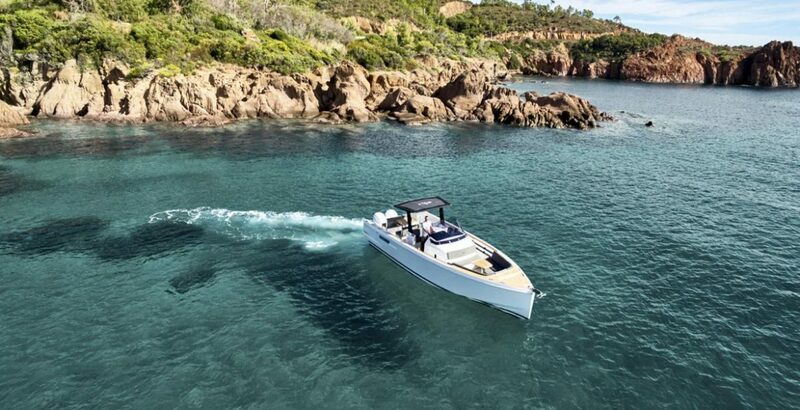 In 2007, Hanse Yachts AG took the helm and decided on an important change of course, moving away from the classic forms to create truly innovative pleasure craft. High speed and spectacular design are in the DNA of every Fjord motor yacht, guaranteeing a team of first-rate and highly experienced specialists.